A simple extension that posts your Google searches to a Twitter account of your choice, in realtime. 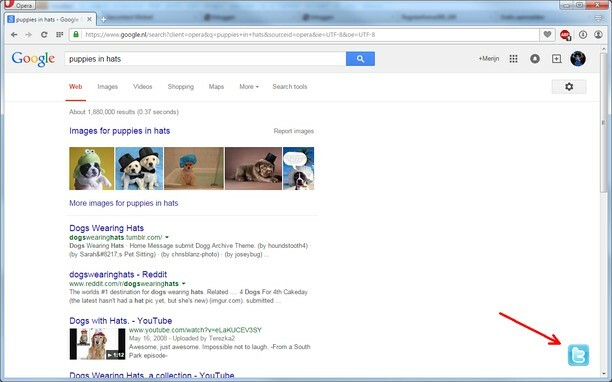 Every time you search for something on Google, a Twitter icon will pop up in the lower right for 2 seconds. Once it disappears, your search query will be posted to Twitter. Click the icon to cancel the post.